Why would I need self storage in Edina, MN? There are a variety of reasons why you might need self-storage in Edina, MN. How much is a storage unit in Edina, MN? The cheapest storage unit in Edina, MN is $31.00 per month. What size storage units do you have available in Edina, MN? In Edina, MN we have sizes that range from 5'x5' to 10'x30' to suit your storage needs. How much is it for a 5'x5' storage unit in Edina, MN? The cheapest 5'x5' storage unit in Edina, MN is $46.00 per month. Just southwest of Minneapolis, Edina is a growing Twin Cities suburb that has evolved significantly from its early agricultural roots. Historical landmarks like the one-room Cahill School and Grange Hall offer a peek into the city's 150-year history, while thriving downtown areas like 50th and France showcase the dynamic, modern amenities the city has to offer. Edina has many highways and transit options that connect it to Minneapolis, St. Paul and countless surrounding communities. Because it's so easy to get around the area, Edina has become a popular home base for anyone who wants access to big city jobs and amenities while enjoying a comfortable suburban lifestyle. This Minneapolis suburb has 40 inviting neighborhoods, lively retail sectors, and much-anticipated annual festivals that draw locals and visitors alike. With over 40 parks, Edina offers more than 1,500 acres of parkland and green space. Its parks feature amenities like children's playgrounds, picnic ramadas, sports fields and skating rinks. You can also take advantage of several miles of trails throughout the area, ideal for walking, hiking, jogging, biking, cross-country skiing and snowshoeing. 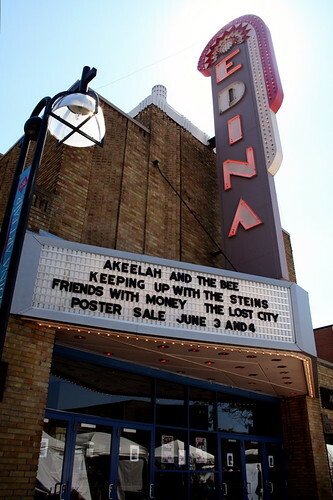 Businesses in sectors including education, health care, engineering and food service have established themselves in Edina's business-friendly community. The city of Edina, Edina Public Schools and Fairview Southdale Hospital are some of the city's largest employers, followed closely by Regis Corp., Barr Engineering, Edina Realty and Lund Food Holdings. The Edina area is home to a diverse group of industries, with the largest in the area being trade and transportation, government, education, health services and manufacturing. These are good industries for job hunting, as is the growing leisure and hospitality industry. Edina Public Schools manages the public elementary, middle and high schools in the city. In addition, the district's Edina Family Center offers early childhood education for young children and continuing education courses for adults. The city is also home to a few private schools. Utilities: Xcel Energy is the area's main electricity provider. The city manages its own water and sewer services, including distribution and billing. Garbage and Recycling: You'll establish a private contract with one of the several approved waste disposal companies in Edina. Transportation: The Southdale Transit Center is a hub for public transportation in Edina, offering park-and-ride lots to make your daily commute as easy as possible. Edina has dozens of new and well-established neighborhoods. Areas like Creek Knoll, Creek Valley and Indian Trails are a few of the city's smaller communities, with just a few hundred residents each. Others, like Parkwood Knolls, Southdale and Prospect Knolls are much larger, with nearly 2,000 residents each. Homes prices in Edina are well above the national average, largely because the city is such a desirable suburb of Minneapolis. However, with a fairly large housing market, you should be able to find an option that works for you. Our lowest priced units in Edina, MN average $47.33 per month. 147 people have reserved units in Edina, MN in the past 30 days. There are 3 locations within Edina, MN's city limits. There are 3 locations in Edina, MN that offer AC and Heating features.